Babies need Bauhaus! No, that’s not the name of a new band (although it would be a good one). It’s my way of saying make it snappy and get your hands on some of these divine building blocks before Christmas. Marvel at the pure simplicity of the Bauhaus Bauspiel Building Blocks. 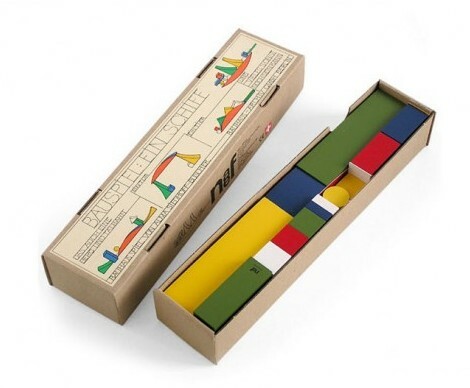 Designed by Alma Siedhoff-Buscher during her training at the Bauhaus in the early 1920s, the Bauspiel blocks represent the Bauhaus school’s philosophy of creating toys meant to stimulate inventiveness, joy and imagination in children. 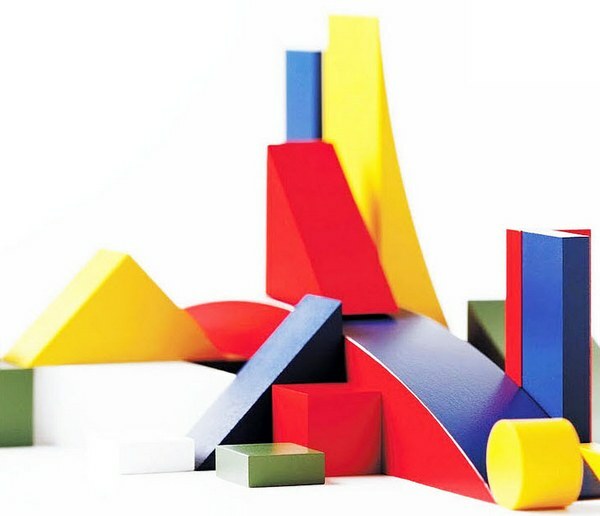 The blocks encourage children to explore shapes and colours (note that there are lots of terrific shapes not found in all block sets, such as curves, cylinders and wedges) and in doing so, they are exercising the Bauhaus movement aesthetic – radically simplified forms, crisp lines and rational beauty. 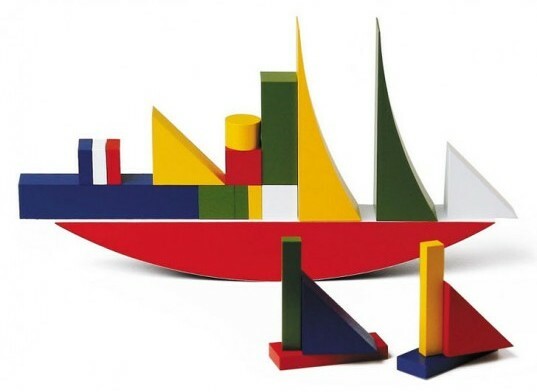 The Bauhaus Bauspiel Building Blocks are US$160 and are available online through MoMA. They were produced in conjunction with MoMA’s exhibition Century of the Child: Growing by Design, 1900-2000.